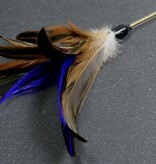 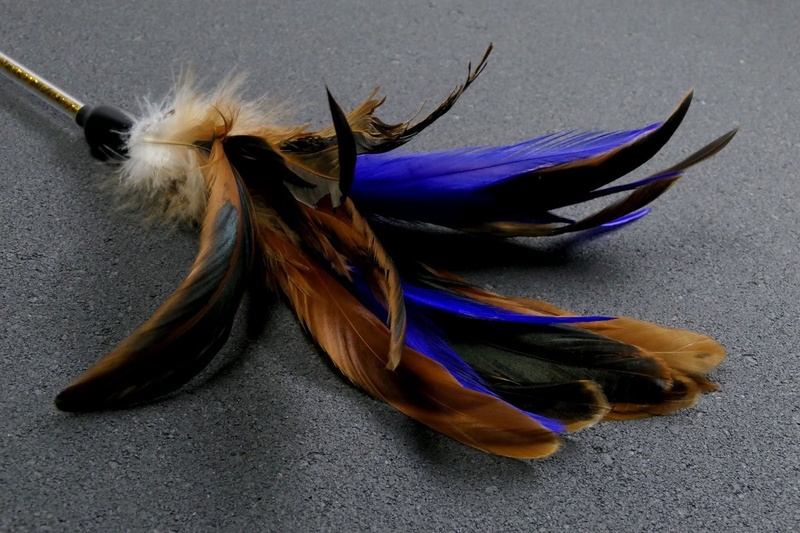 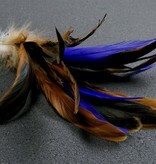 The Tabby Tijger Golden Rooster Teaser shows off a nice bundle of rooster feathers with different colors. 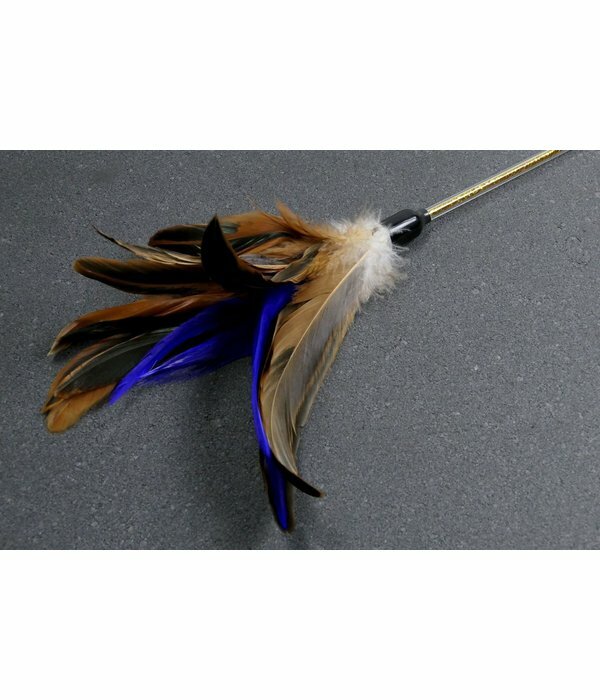 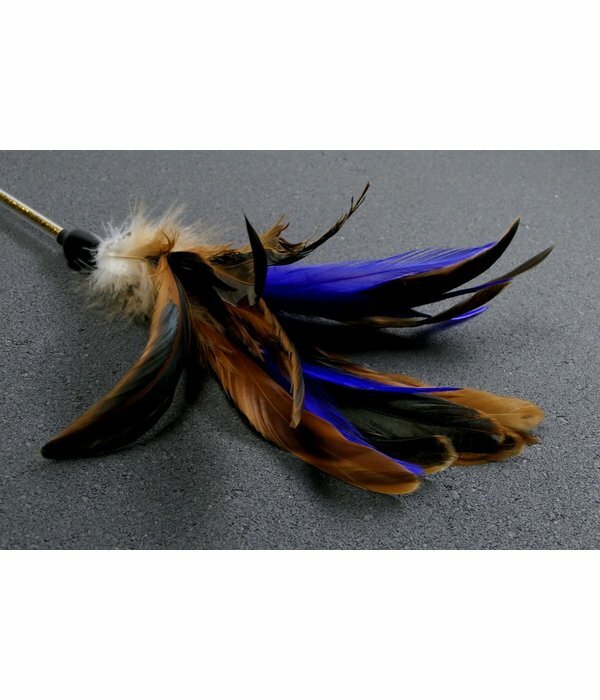 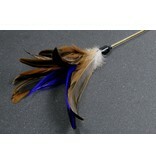 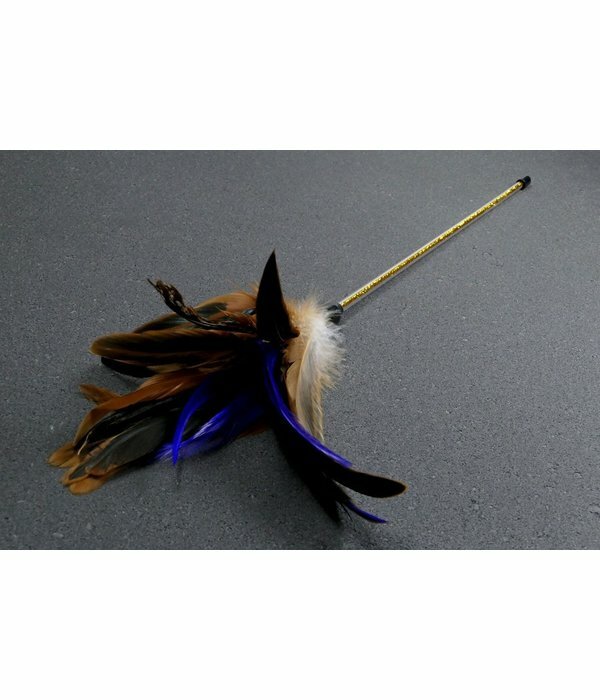 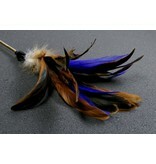 The long feathers provide a certain elegance when you play with your cat or kitten. 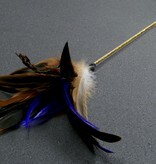 The stick is filled with golden glitter, it looks like you are holding a magic wand. 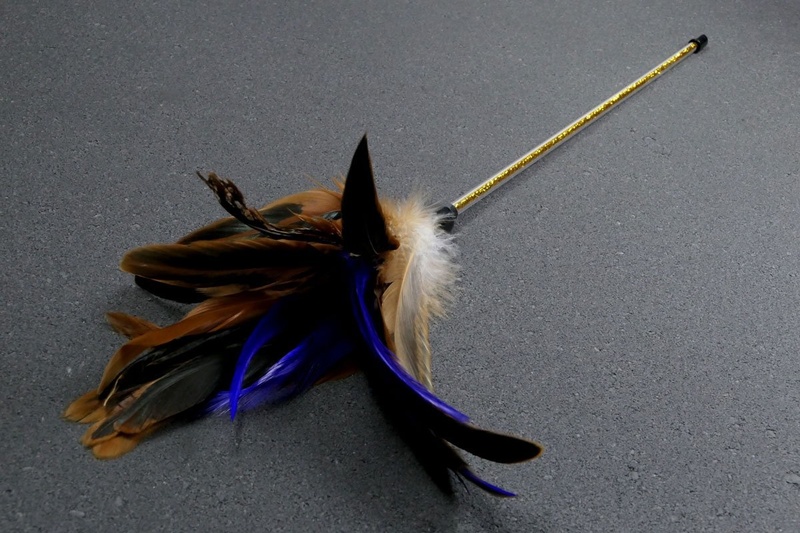 The Golden Rooster Teaser is approximately 50 cm long in total. 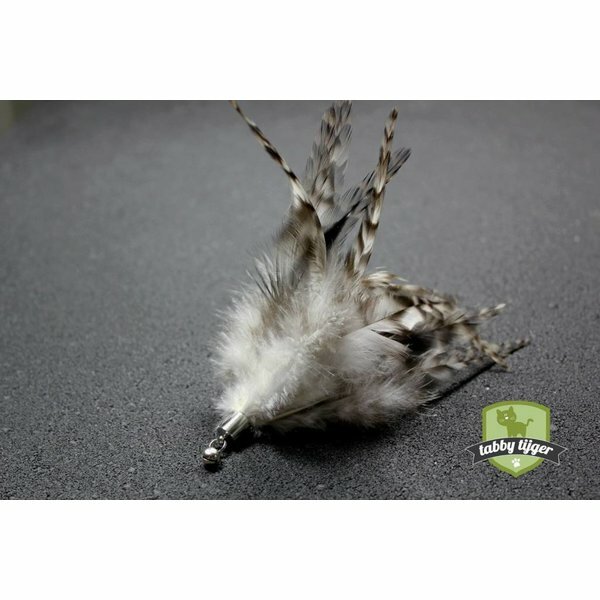 Always best to put away the Tabby Tiger after play sessions. 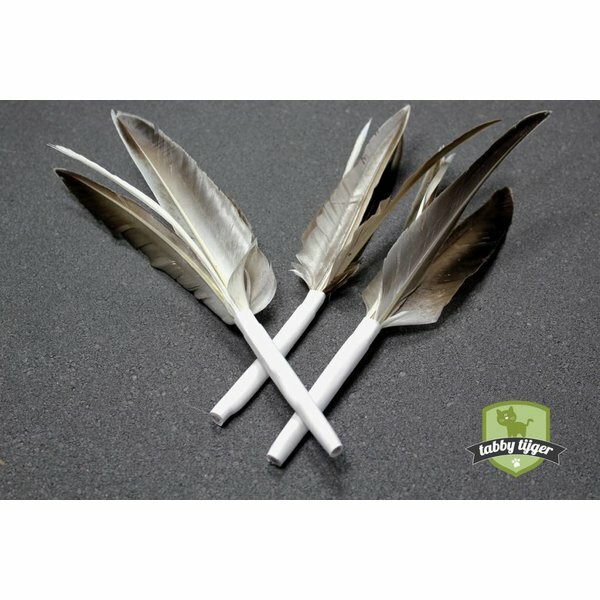 Used regularly, This toy as play therapy can help with shy/ nervous cats and different kinds of aggressive feline behaviours. 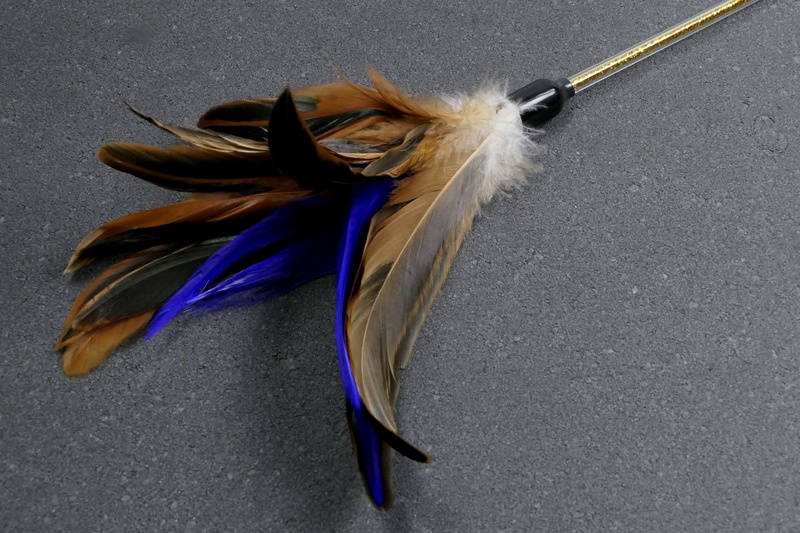 Safety - As with all teaser toys, please ensure supervised play at all times.